Roosebeck 14 x 3.5 Inch Bodhrán Cross Bar Bolt Tune Walnut + Tipper Cipin & Wrench. 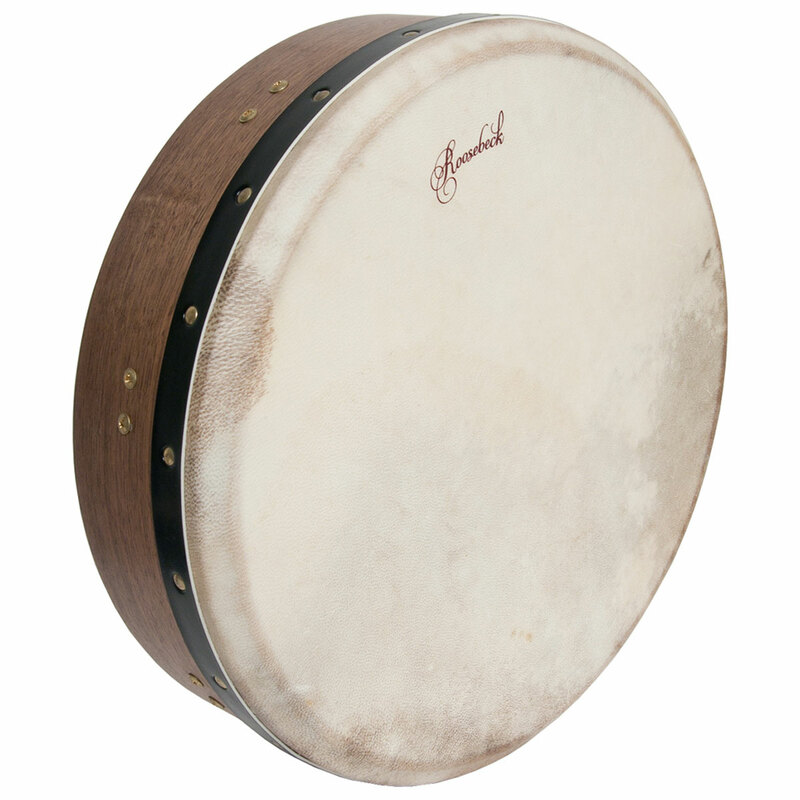 Roosebeck Tunable Walnut Irish Bodhrán Cross-Bar 14"x3.5" BTN4W. Primary rhythmic accompaniment for Celtic and Irish music. Contains a goatskin head with the Roosebeck logo and a beautiful wwalnut frame that has a black band around it. Player is able to tune drum by adjusting hardware hidden inside. Equipped with fixed cross bars to help support hand and wrist when applying pressure to head from inside of frame.